Sometimes you need just a timeout – a place to come down and forget your busy life. 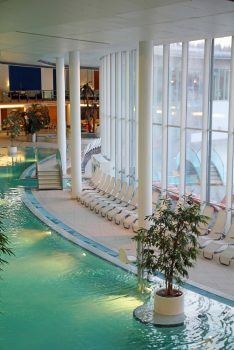 Last week we decided to stay a few days at the Vitalhotel Spa Resort Therme Geinberg in Austria, just near der German Border. 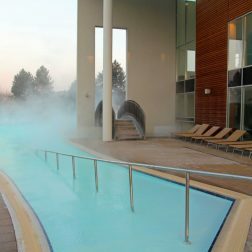 We have already seen some pics about that place on Instagram – and so we were very excited about visiting this wonderful hotel & the picturesque spa area. The check in was just lovely! We were welcomed with a glass of sparkling wine and with the information of a free room-upgrade. 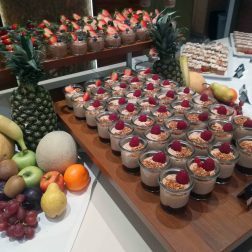 Thanks to the reception team – you made our day! Immediately we felt comfortable and welcomed. After checking in, we went up to see our room: We really loved the walk-in closet and from the balcony we enjoyed a wonderful sunrise in the next morning. 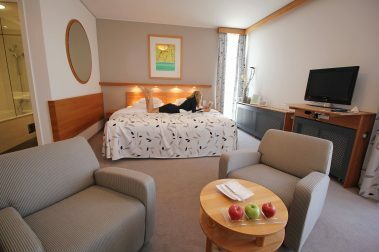 The rooms are furnished in a tasteful design and with some stylish details. In general all the personal was amazing, heart-warming friendly and always helpful. 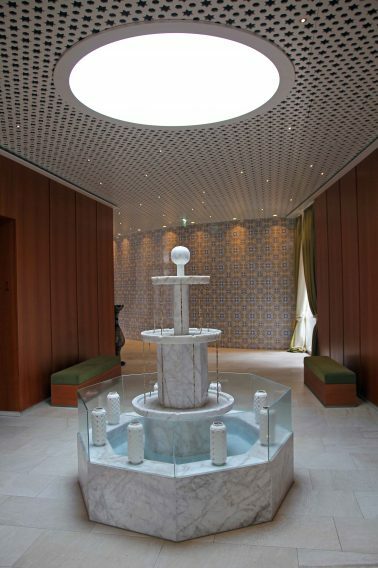 The Oriental World with its Hamam was definitely one of our highlights while we stayed in Therme Geinberg in Austia. A breath-taking beautiful spa-area in oriental design. 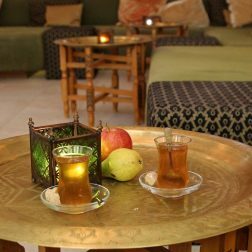 We felt like being taking back to Marrekesh, everything looks really chic with lots of details and warm colors. 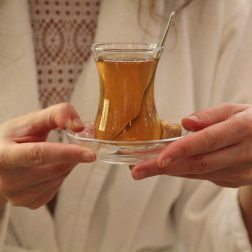 Don´t miss to visit the beautiful Hamam with its warming navel stone and the steaming Serail-bath. With only 4 Euro you will get a peeling glove and a healthy soap to peel your body. 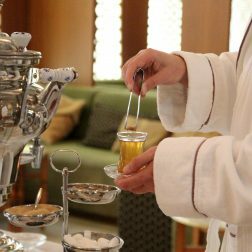 Enclosing the Hamam you are invited to take a rest inside the beautiful oriental lounging area and have a lovely cup of apple tea. This sofa area is so relaxing, a perfect place to stay for a while and enjoy. The public sauna area was really busy when we were there, so we were more than happy that on the rooftop of the Oriental World a quite sauna was installed. 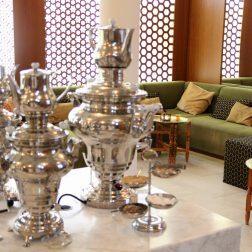 Visiting the Oriental Word is included for hotel guests and open from 9.00 am-8.00 pm. 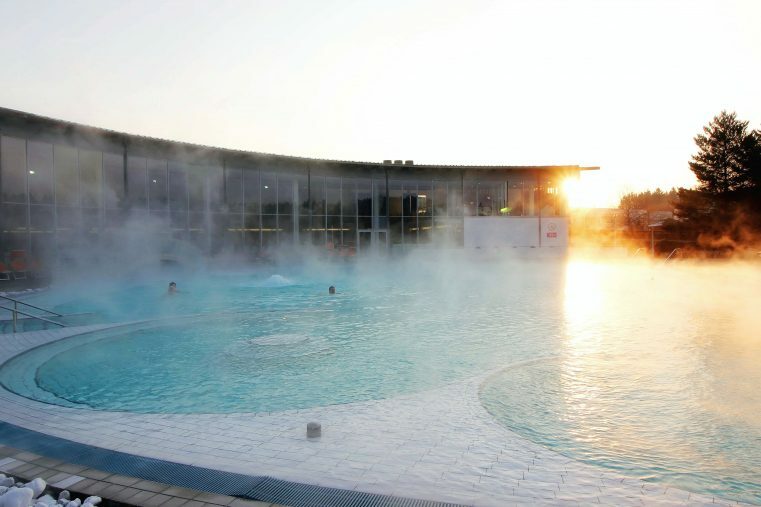 The pools area is really huge, we had the possibility to choose from 5 different pools including thermal, freshwater and saltwater pools, lavish indoor and outdoor thermal pools and a saltwater lagoon. This idyllic water world also host a cocktail bar where you can enjoy tasty cocktails inside the whirlpool 🙂 yummy. 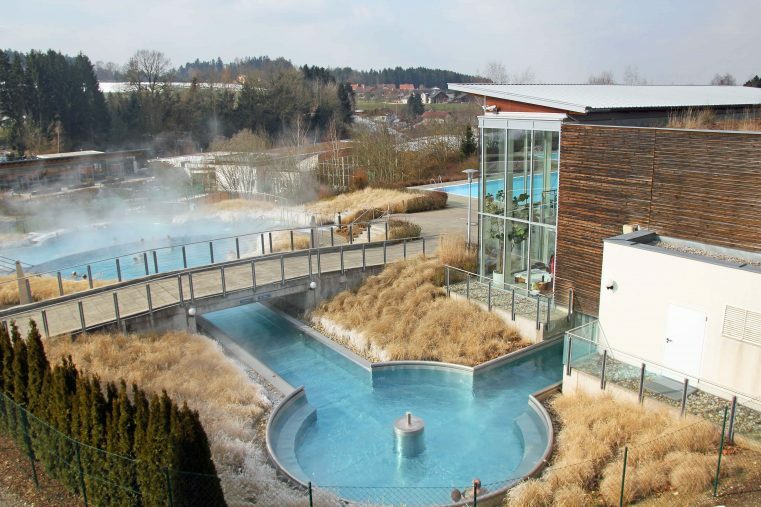 Our favorite was the beautiful cascading thermal pools – a quiet area with a fantastic design and a great view. 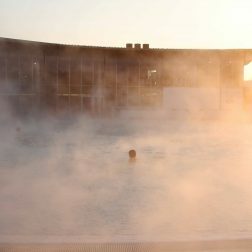 An absolute advantage is that hotel guests can use the thermal pools area already from 7.00 am. 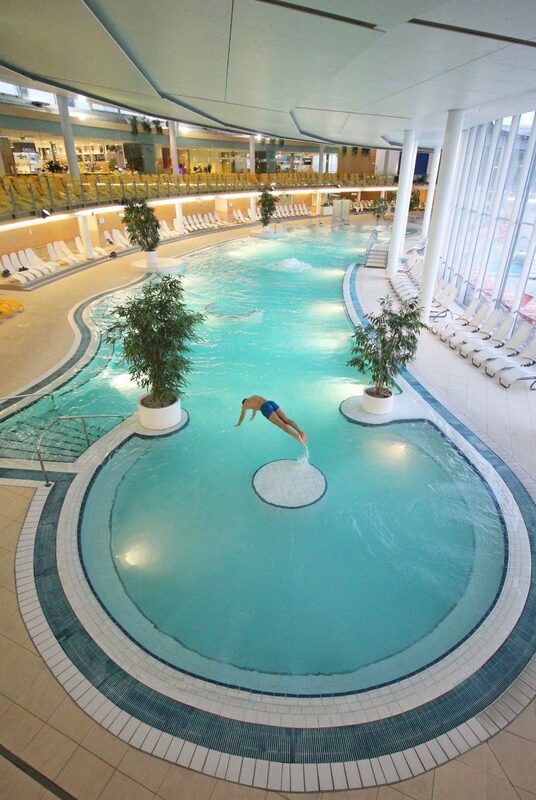 At that time you will have all the pools by yourself. 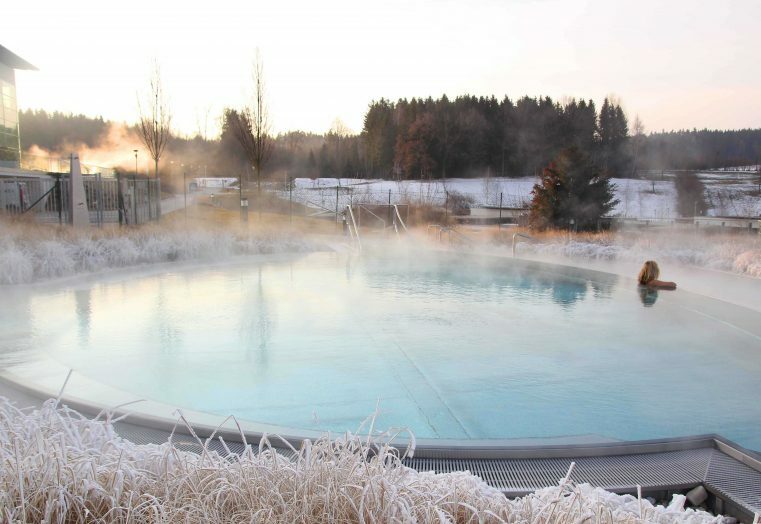 It was amazing swimming outside in the steaming hot water while the air temperature was -12 degrees. Both of it are first rate! Honestly, we are not the biggest fan of dining inside of hotels. 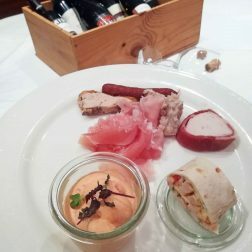 The restaurant of the Vitalhotel Therme Geinberg surprised us a lot: We had been spoiled with an extraordinary fresh, healthy and tasty buffet. 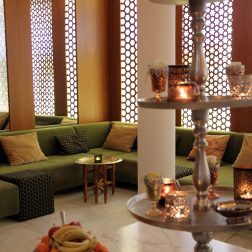 We loved the huge desert-bar, included finest cakes and different kinds of creams – so delicious. 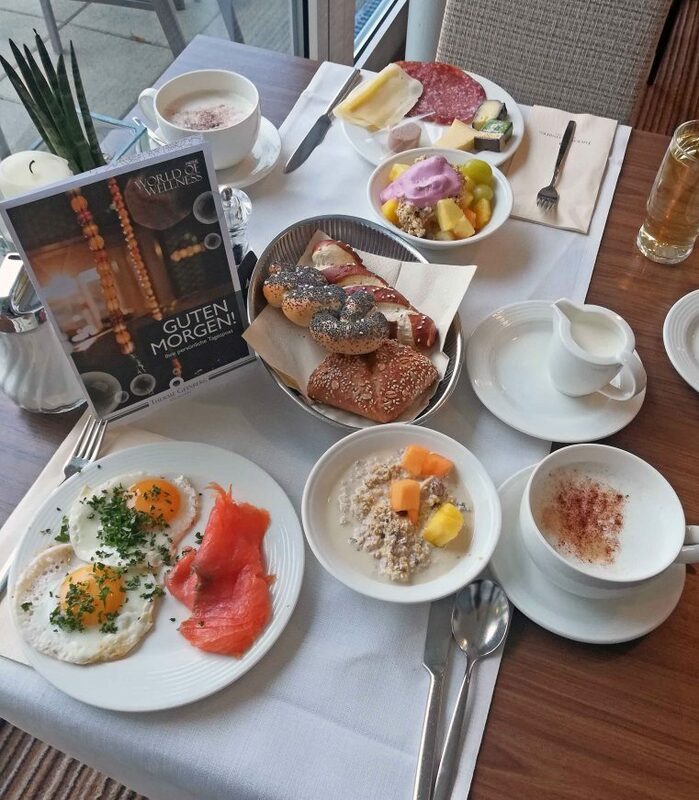 When we are traveling we are always early birds – luckily the breakfast always starts at 7.00 in the morning. 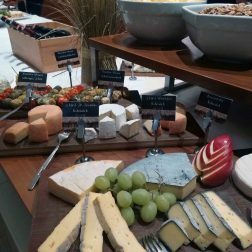 The buffet has a wide range of different foods to choose from – including fresh egg meals, fresh pancakes, delicious coffee, fruits, the finest hams, Prosecco…everything a breakfast lover`s heart desires. And for all the late risers – it’s open until 12! 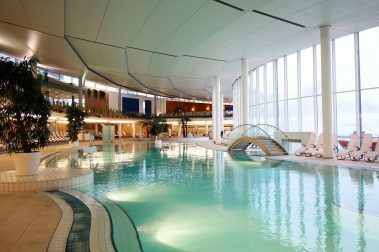 The Vitalhotel Spa Resort Therme Geinberg in Austria offers it all – beautiful light-flooded rooms, really friendly staff, excellent cuisine and a perfect spa area – thanks a lot Vitalhotel Therme Geinberg for the pleasant stay. Das wäre fein für mich und für mein Schatzilein. This looks amazing! I’ll add this to my “when the kids are grown” bucket list! This is my kind of place – so relaxing! 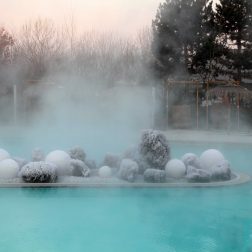 The thermal pools outside remind me of a mini blue lagoon! 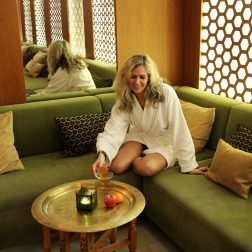 This would be a perfect weekend breakaway – relax in the hammam followed by a dip in the beautiful thermal pools. Breakfast looks amazing … so much food! I have to tell that I love your photography. One of the bests I have seen for hotels. 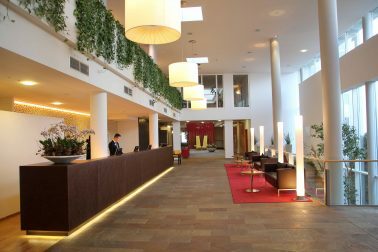 And the hotel itself is fantastic! 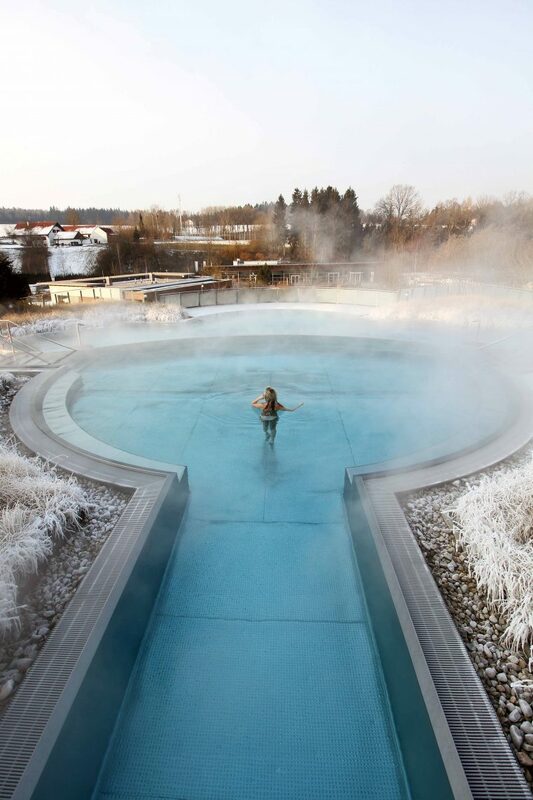 I would’ve never guessed this is in Austria! 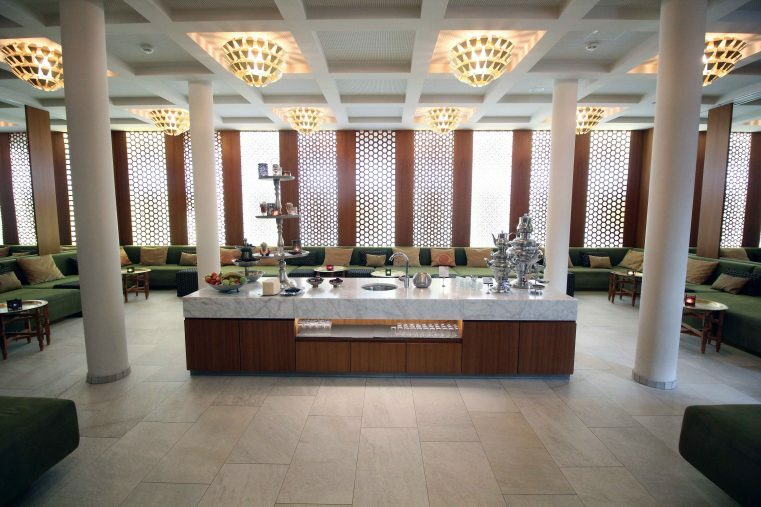 The Oriental World would be our main highlight as well, especially for a relaxing couple weekend. The spa looks amazing! Oh my gosh this looks absolutely stunning! How heavenly – I wouldn’t want to leave! I love the fact you got champagne on arrival. 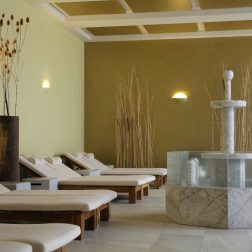 The design of the spa is gorgeous and it looks like there is plenty of space around too and different bathing options. 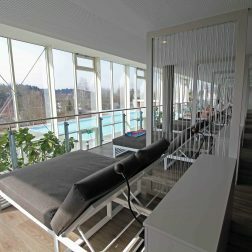 I’m currently nursing some injured ribs and I can’t help but think that this place would be very beneficial for my recovery! 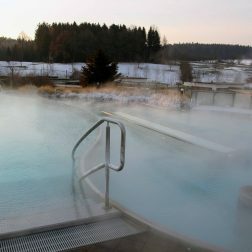 I would be in those thermal pools until they kicked me out! LOL What a lovely place to visit. I would not have expected that in Austria but definitely keeping it in mind in case I’m in the area. Gorgeous photos! 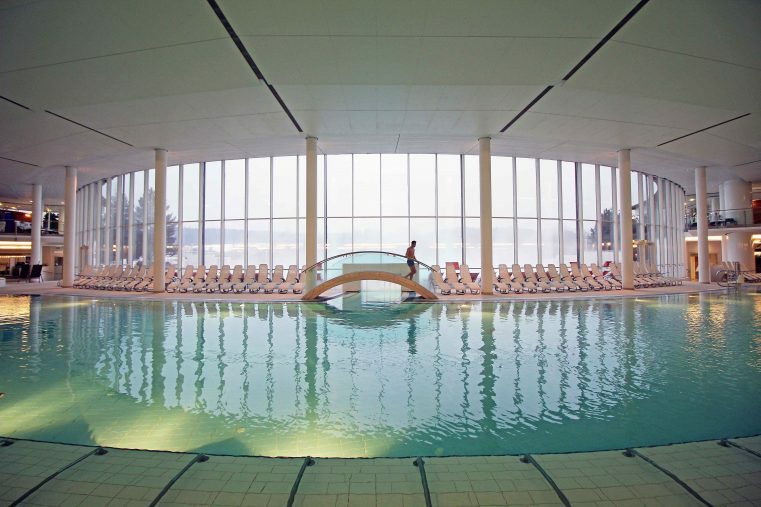 The Vitalhotel Spa Resort Therme Geinberg looks so awesome. I would never want to leave. In fact, I think I need to plan a trip, where I can just swim and float all day and all night. No sightseeing at all. Thanks for sharing the secrets of this beautiful place! Wow this place looks amazing! I would hang out in those pools all day if I ever stayed there. This looks so great! 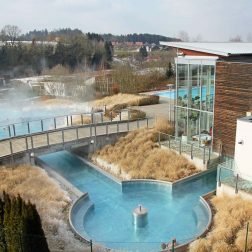 I love spas and thermal baths, so I’m definitely jealous! It looks so relaxing…and the food looks great too! Definitely on my list for my Austria trip.